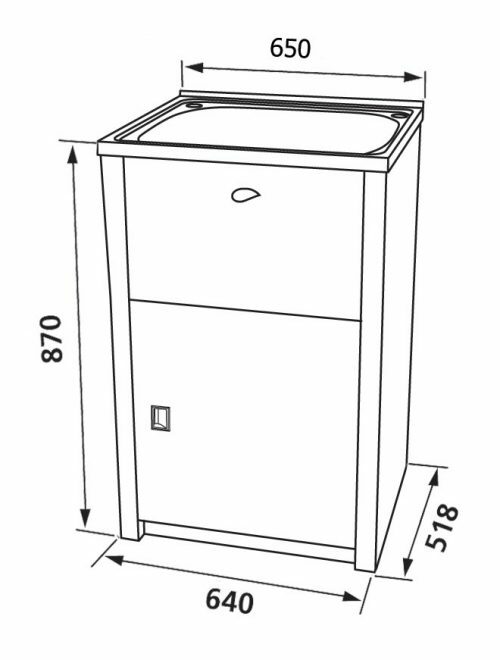 Are you looking for a practical and simple laundry cabinet and sink combo? 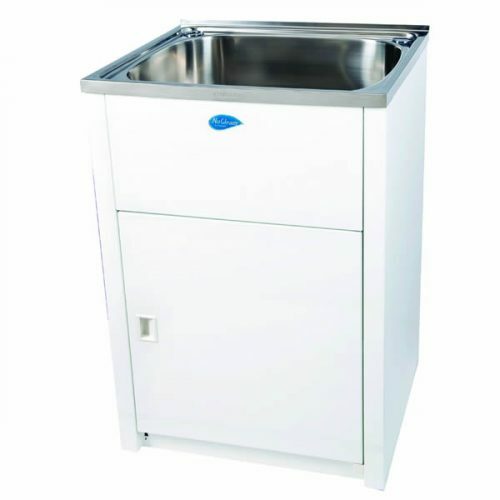 If you are, then Everhard’s NuGleam™ Maxi Laundry Cabinet & Sink is exactly what you need. Available in a classic white finish, this laundry combo certainly looks attractive and will complement modern décor. 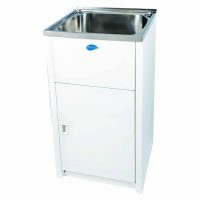 The NuGleam™ Maxi Laundry Cabinet & Sink is equipped with a heavy duty 70 litre stainless steel sink. 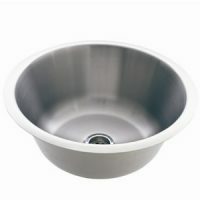 It is made out of steel and is powder coated with Dupont® Coating for added durability. 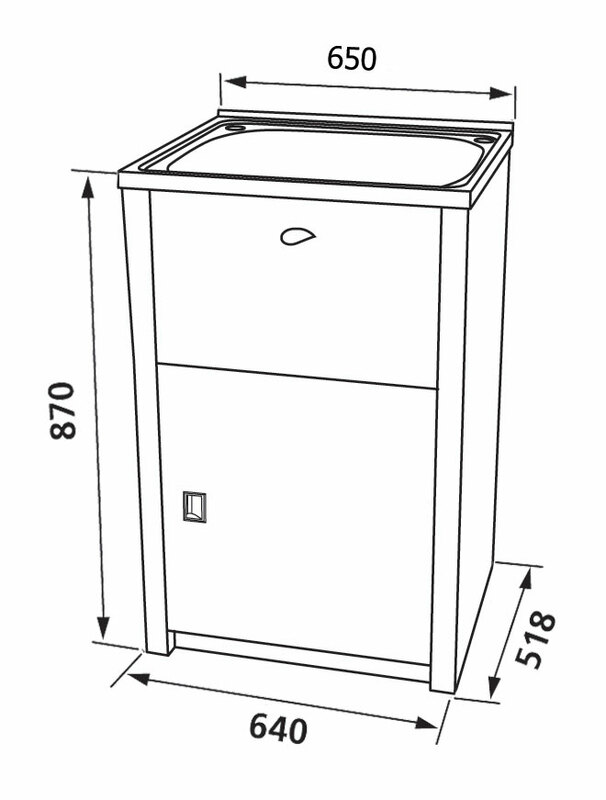 Measuring 653x518x870mm, this laundry cabinet features a single bypass assembly and also includes a basket waste. Unlike standard laundry cabinets available in the market, the NuGleam™ Maxi Laundry Cabinet & Sink is a far more superior product. To justify this, Everhard offers a 25-year warranty on the stainless steel bowl and the metal cabinet, and a 1-year warranty on the plug, wastes, hinges and rods. This is one high performing product that will easily offer you many years of service. 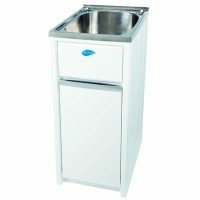 The NuGleam™ Maxi Laundry Cabinet & Sink is currently featured on Ross’s Discount Home Centre at an unbelievable bargain – far cheaper than elsewhere on the market. This is a top selling product at our store, so hurry and make your purchase before stocks run out!